TS TET 2019 notification, Telangana tet notification 2019 : TS TET notification 2019 will be released in the month of March 2019. The Telangana TET is a state level entrance test which is regulated by DSE Telangana on the behalf of TS Govt. This test is a perfect gateway to appeared teachers selection test. Here in this article, we are providing information regarding to the TSTET 2019. 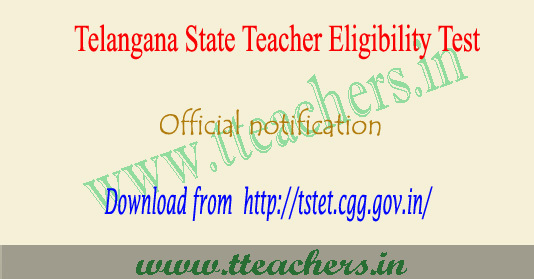 A candidate can apply for the Telangana State Teacher Eligibility Test On-line by logging in TSTET official website tstet.cgg.gov.in only. Before applying online Candidates can apply for TS-TET –2019 to be held on Sunday 23.07.2019 ‘ONLINE’ only through TS-TET website tstet.cgg.gov.in from 13 06- 2019. TS TET Notification 2019, Exam Dates, Apply Online Procedure available at tstet.cgg.gov.in. Candidates can check telangana tet exam dates, eligibility, fee, procedure for apply online. 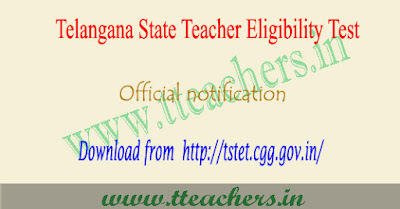 Online applications are invited from the eligible candidates who intend to be teachers for classes I to VIII in schools in Telangana State for appearance in the Telangana Teacher Eligibility Test (TS-TET-2019) to be conducted by Department of School Education, Government of Telangana State on June 2019 in all 31 Districts of the State.